Founded in 2011, Caiger and Co Catering company based in London and Dorset. 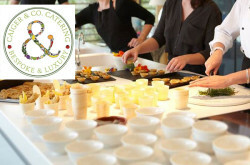 Offers bespoke catering for a variety of events from dinners and lunch parties, to large events and wedding catering. 127 Sulgrave Road, London W6 7QH, England.